Principia College subscribes to the Annual Copyright License from Copyright Clearance Center (CCC). This license covers thousands of text-based titles that may be photocopied or shared within the institution while being compliant with U.S. Copyright law. This license increases what you already have access to through the library homepage, thereby creating greater access to materials with copyright permissions. What is not covered by the license? Any Principia College employee or student is covered by the license (employees of the School are not covered). Who can I share items with? The license allows you to share items covered by the license with anyone within Principia College. 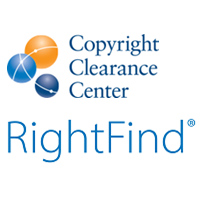 To check if a specific item is covered by the Annual Copyright License, use CCC’s search tool, RightFind Academic. To get started, simply go to rightfind.copyright.com and begin searching for permissions under your Annual Copyright License. If you are prompted to log in, simply register as a user using your @principia.edu email account before you begin your search. When you use content that is covered by the Annual Copyright License, you are encouraged to use the following citation to indicate you have confirmed copyright permission to post or distribute the content.